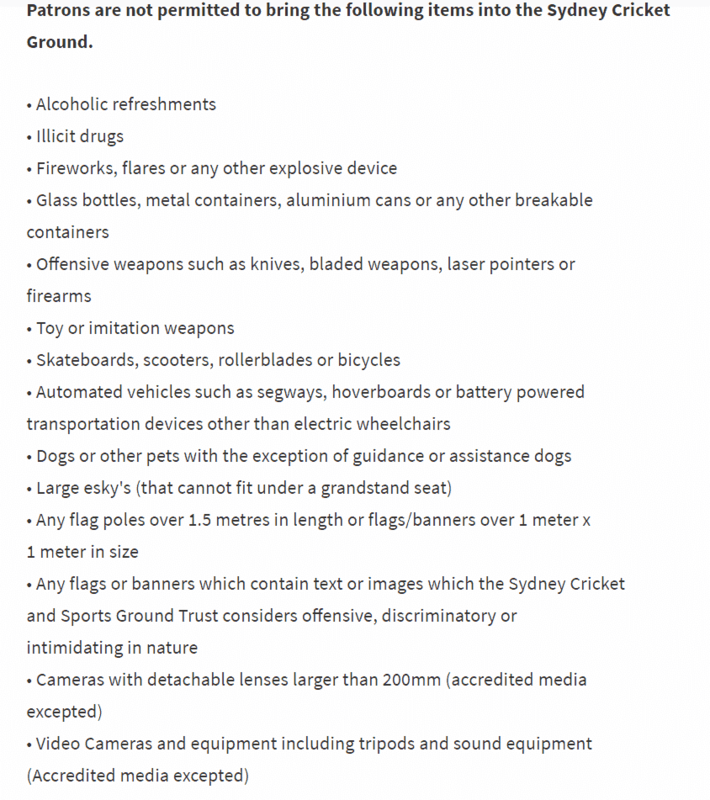 The SCG is an abbreviation for the Sydney Cricket Ground, perhaps the most famous stadium located in Sydney. 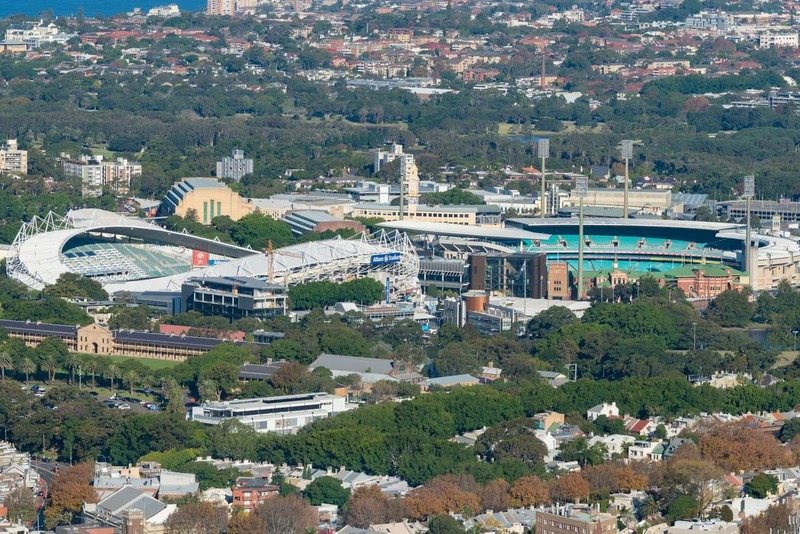 The SCG is one of the largest sporting facilities in Australia and plays host to Twenty20 cricket, the One Day international, Australian Rules football and rugby union. The stadium hosted its first cricket test in 1882 at a time when it had only to grandstands: the Brewongle Stand and the original Members’ Stand. In subsequent years, two spectator mounds were constructed, and are today known as Paddington Hill and The Hill. Presently, the SCG’s configuration has a playing field that is flanked by grandstand structures. 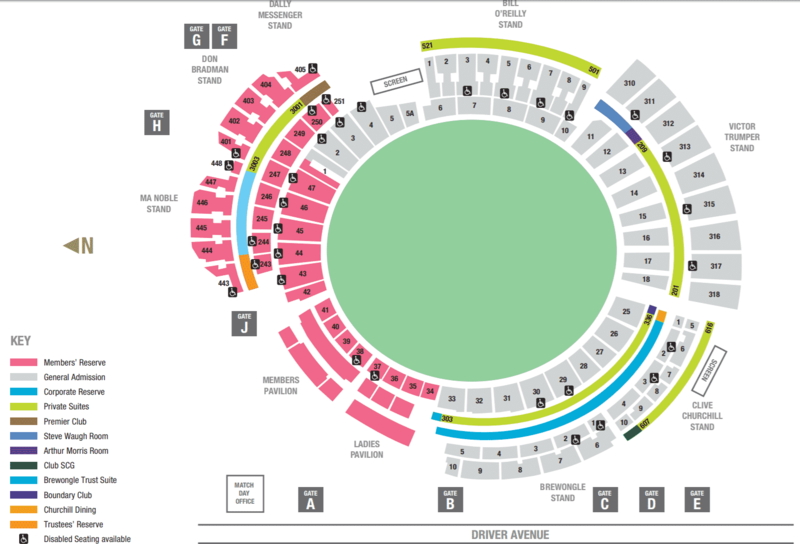 These include the Bill O’Reilly Stand that houses the corporate boxes and has space for public reserved seating, Victor Trumper, Clive Churchill and Brewongle Stands. Others include the Member’s and Ladies’ Stand, both of which were built in the late 19th century. Some of the modern stands at SCG include the M.A. Noble, Messenger and Bradman Stands that were constructed in 2013. These stands contain facilities for media use, provide members reserved seating as well as corporate boxes. The other way to explore this stadium is to take on a guided tour that will give you a chance to experience the stadium’s history. Listen in to the amazing stories of players and spectators and take some time to sit in the dressing room and picture what it feels like to be a sporting legend. The tour also gives an opportunity to explore the SCG Museum that houses sporting treasures and varied exhibitions. Guided tours run on all days except Sundays, public holidays and major event days. The tours take 90 minutes, and run from 10am to 11:30am. Online bookings are highly recommended for interested visitors. 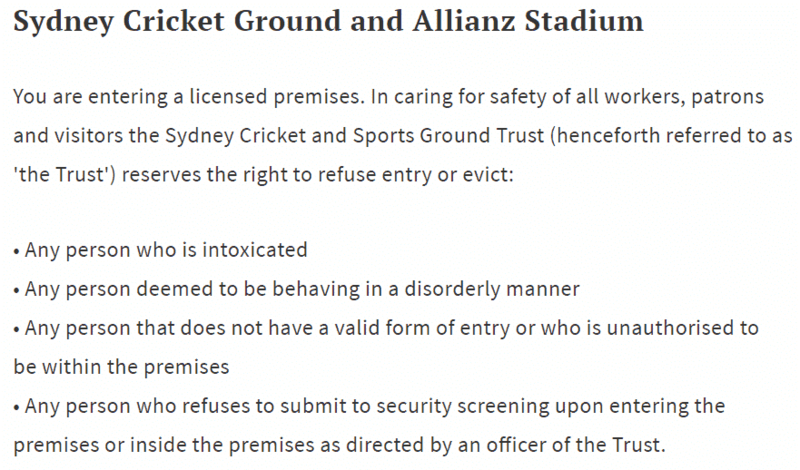 The easiest way to access the SCG and Allianz Stadium is by public transport. 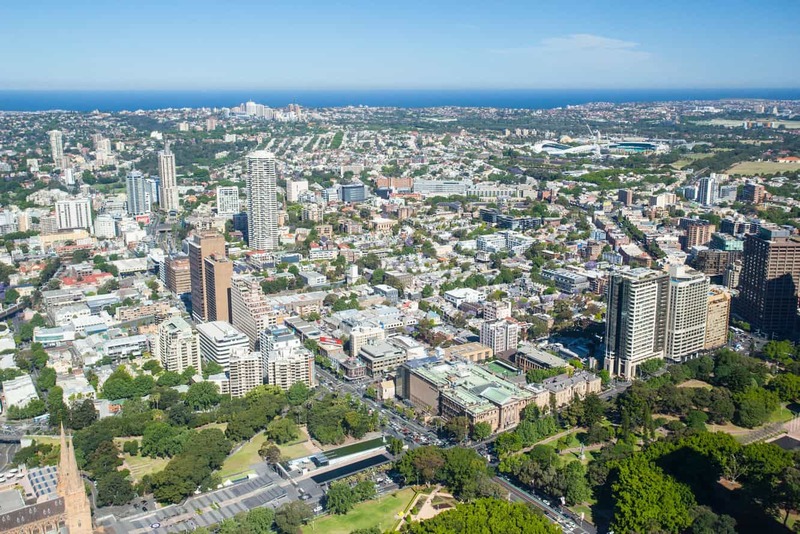 Moore Park is a 20-minute walk or a short bus ride from Central Station. Paid parking is available in the Moora Park Precinct for around $25 per car. Special event parking prices may apply.